Ashlee Simpson gave fans a glimpse of her "fun" family outing this week. 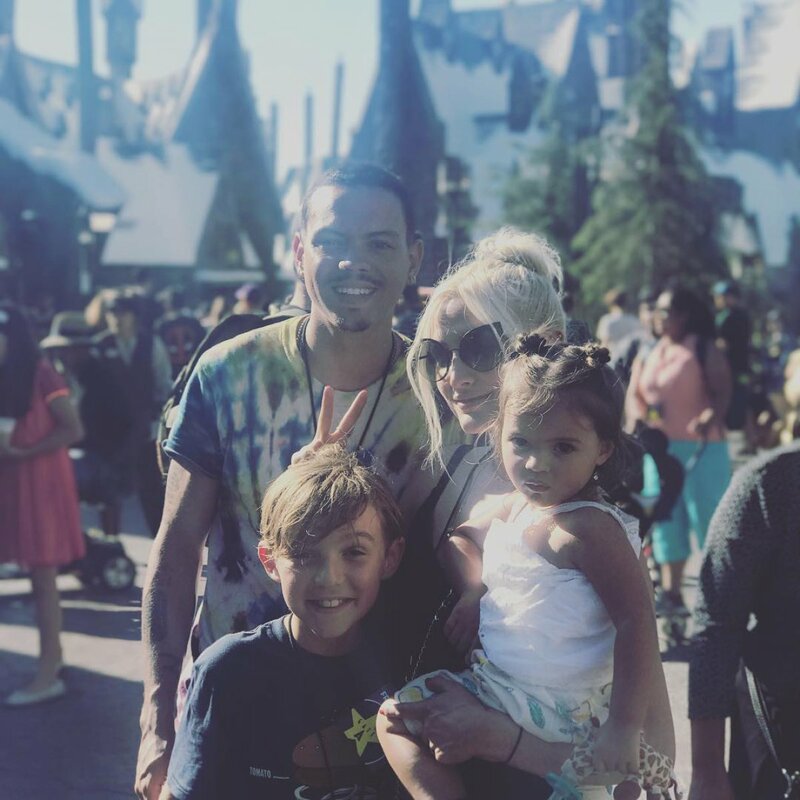 The 32-year-old singer enjoyed a trip Sunday to Universal CityWalk with husband Evan Ross, 8-year-old son Bronx and 21-month-old daughter Jagger. "Fun family Sunday at universal city walk," she captioned a photo on Instagram. Simpson shares Bronx with ex-husband Pete Wentz, and welcomed Jagger with Ross in July 2015. "Knox is such a good older brother," she told E! News in October 2015 after Jagger's birth. "He's always saying how beautiful she is and wanting to hold her." Simpson shared similar sentiments in an interview with AOL the same month. "He's like a professional big brother, and he's got it down: He can calm her down and tell her it's okay, entertain her and dance with her," the star said. "It's been such a long time [since I raised Bronx]. So maybe my age makes it a little different and, now having Bronx around, I have kind of a team," she mused. "It's nice." Simpson, the younger sister of singer Jessica Simpson, married Ross, the son of singer Diana Ross, in 2014. She last released the album Bittersweet World in 2008.